Why Choose AppInventiv as Your Android App Development Partner? Rapidly, Android has become the fastest growing operating system in world of smart phones tablets. And, the platform is becoming more popular with its every update. Its versatility, user- friendliness vulnerability and flexibility has made it more favourite platform among smartphone and tablet users. AppInventiv is a world-class Android app Development Company, which is known for offering business-centric and market-centric android application development services. Our dexterous and experienced team of Android App Developers does deep research and in-depth analysis to meet our client’s business requirements and goals. By leveraging wide range of tools and technologies, we at AppInventiv have created optimized and user-centric mobile apps, which are ground-breaking, robust, scalable and supports almost every android device. Till date, we have served many clients across the worldwide and has successfully met their expectations and business goals. Our experienced and expert team is efficient and have the knowledge of all the latest android release invents, thus creating profitable Android apps. 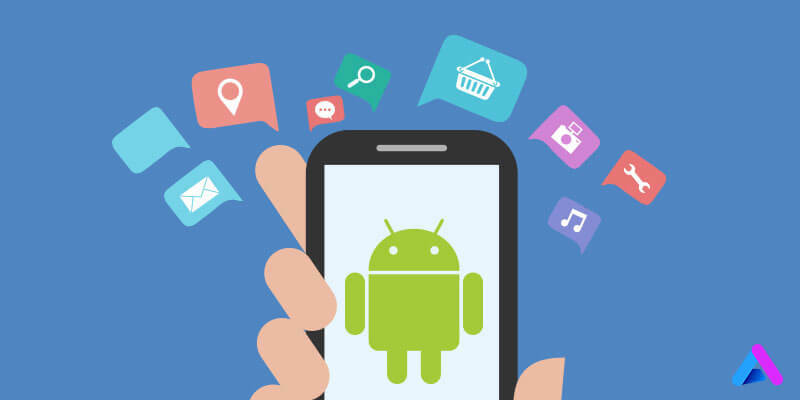 Appinventiv, being an award-winning Android App Development Company has delivered hundreds of custom Android apps to its clients across the world. Since our inception, we have been developing Android app for Smartphones & tablets. Our team of Android app developers have wide industry experience in Android apps development and are skilled at comprehensive life cycle development of projects, right from the ideation to the launch of the mobile apps. With working on the various versions of Android operating system that supports huge number of screen resolutions, AppInventiv team is highly experienced and expert at developing Android development solutions. We have worked with clients across the world and have built numerous top-ranking Android apps. We analyse, conceptualize, design, develop, test and deploy as per our client’s requirements. Among the top-ranked companies on top-notch portals including AppFutura Leveraging a wide range of Industries through our Android app development services. Being one of the leading Android app development companies, we have successfully delivered hundreds of performance-centric Android apps on various Operating Systems right from the Android ICS, Android Lollipop, Android KitKat to the latest Android Marshmallow. Bestowed with a team of proficient mobile strategists, UX/UI designers, analysts, developers and testers who are known for providing high-end Android app development services. We have team of skilled Android app developers who know how to meet industry standards and address the rapidly changing business and technology, thus meeting strategic business objectives. AppInventiv offers reliable, scalable and cost effective android app development services. To meet our client’s business goals, our proficient team provides client-centric and business-centric solutions. By leveraging its acute knowledge, deep expertise, impelling abilities and proficiency in developing android apps, we have delivered some top-rated android apps that helped our clients in generating value and revenue, both. We are developing apps on almost every android OS versions, we are expert in developing Android apps. If you have an App Idea to get build. Share it with us and get your idea get implemented in the way you want. Be it a market-centric or enterprise app, we have expertise and experience in building high-end and quality-packed Android apps at a competitive price. “AppInventiv Ranked Top Android Application Development Company On Clutch,�?